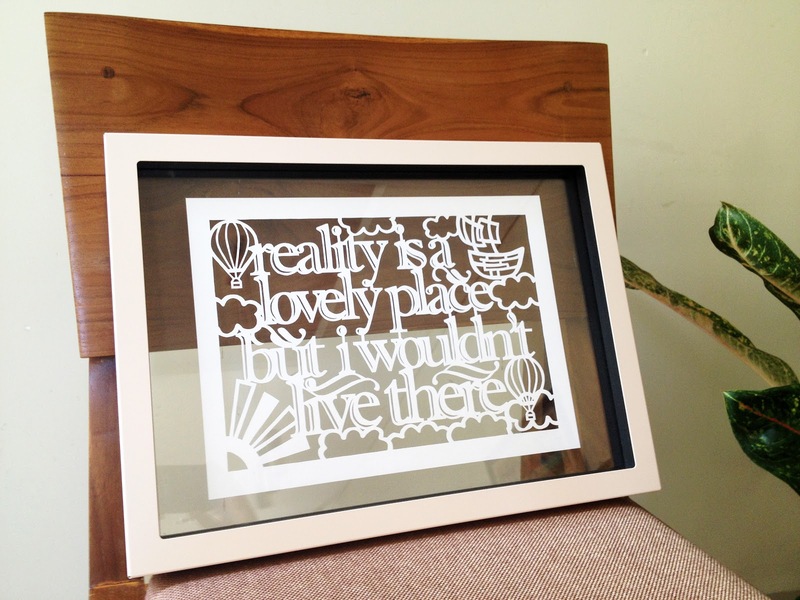 I have been getting some emails from people interested in getting papercuts as gifts for their sister, girlfriend, etc. It seems that what draws people's interest (other than my Angels and Airwaves related pieces attracting other AVA fans) are wordings kind, or the designers call them typography. Yesterday was a national holiday and I spent literally half of my whole day cutting this piece, one of the most interesting lyric-parts I've ever heard, taken from Owl City's The Real World. Throughout the 6th hour of cutting, I realized I made a mistake that is relative, it could be big for some people, it could be small or even irrelevant to some others. But it's still a mistake. I stood up, I walked around in fast pace, I wanted to scream, my face was hot, but then I got control of myself and sat down and I continue for another 5 hours. This piece is not anyone's order, luckily. It's an experiment of another word-cutting style which ends up with me loving the finish product. I used the font "Imprint MT Shadow" the keyword is "shadow". I love the effect it gave to this cutting, although I realized that those skinny strokes only double the effort and the time I take to cut. Seriously, I have not cut this long. My other piece that took such long hours to cut was the Beijing map that took 9 nights of about 1-1.5 hrs per night. I also added some embellishments that I scribbled first on paper and scanned to the computer. 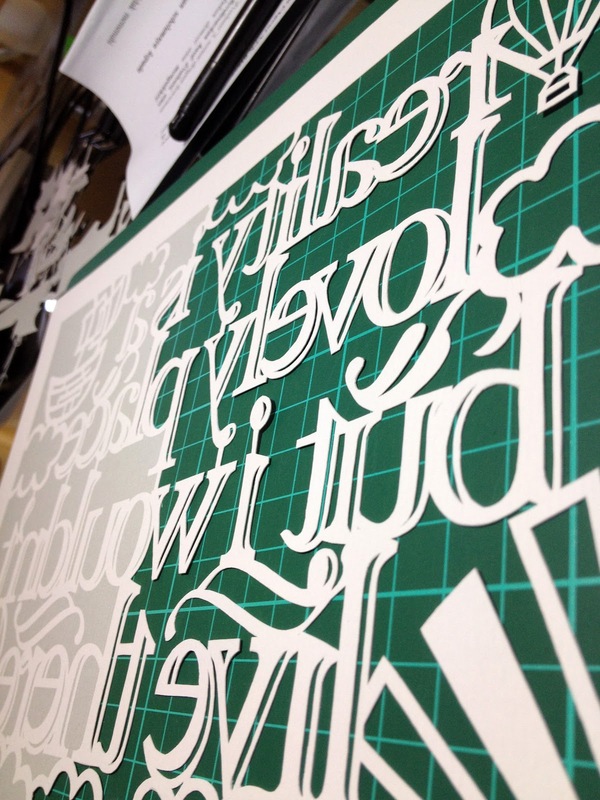 With this post I'd like to announce to you, too, that I have now added a new section on this web where you can get informations on how to commission a personalised cutting by me. Info on pricing, sizes and design guideline, you can check it in the buy section. By the way, this morning, I have just posted my first ever cutting order to England. I went around town only to find that the postal fee to UK is only crazy, and I mean, really crazy. But I managed to find an affordable one which will take double the time to arrive, but I hope and pray to God it will arrive safely.